Email Direct was recently acquired by Campaigner and this support article is in the process of being updated accordingly. 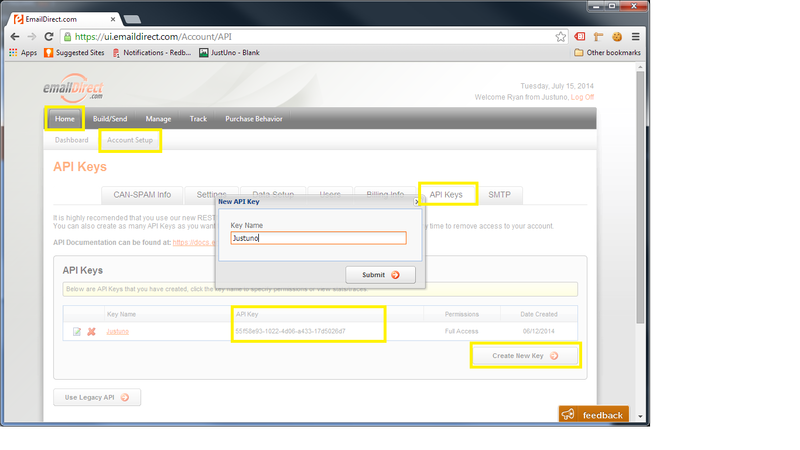 Click Home > Account Setup. Click the API Keys tab and click "Create New Key"
On the "App Integration" tab, locate and click on the EmailDirect "Connect" button to launch the configuration options. b. Select an EmailDirect Publication and Source and click "Save. Optionally, you can also select a List ID. 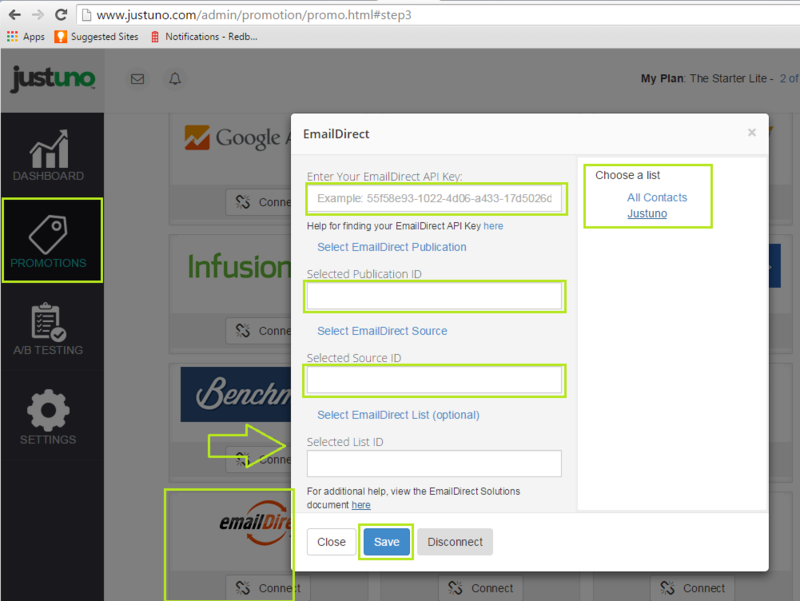 Your Justuno will now sync new signups to your selected EmailDirect Publication, Source or List as they come in!